Handing over the first copy to yesteryear actress Shahnaz Anand at IFFK Tuesday, actor Mohanlal unveiled “Madhavapaurnami,” a book that pays glowing tribute to veteran actor Madhu. Published by the state film academy, 'Madhavapaurnami' has been written by Vinil Malayilkkada. Shahnaz Anand who recieved the first copy of the book, had shared screenspace with Madhu in his first Bollywood venture, 'Saath Hindusthani.' Amitabh Bachchan too had acted with them in this film. "I know that Priyadarshan greatly wishes to make a film with Madhu. 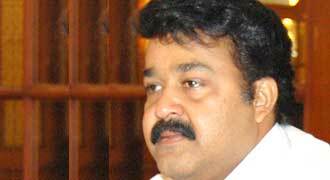 I wish him all the best in realising this dream", said Mohanlal. Priyadarshan who presided over the function said that the veteran actor had not yet recieved honours that he truly deserve.